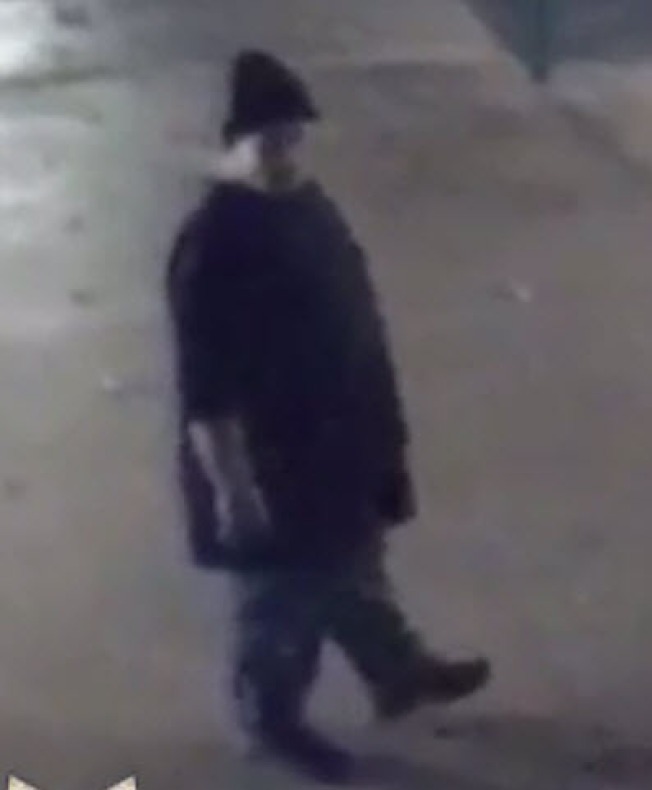 San Jose police are asking for the public's help in identifying and locating a suspect in a sexual assault early Tuesday at a middle school, the department said. 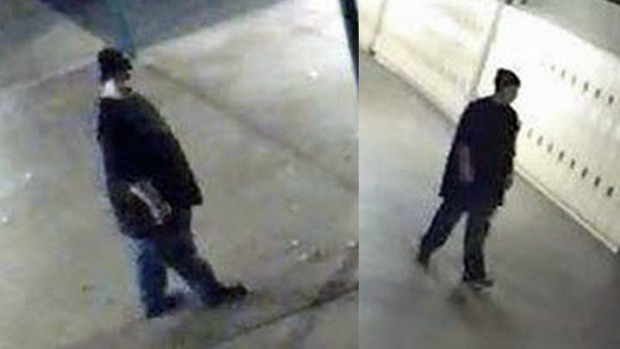 Police released images of a man they say is suspected of sexually assaulting and robbing a teacher inside her classroom at Harker Middle School, which is located at 3800 Blackford Ave., at about 6:30 a.m. Tuesday. The suspect was last seen walking eastbound toward Boynton Avenue, police said. 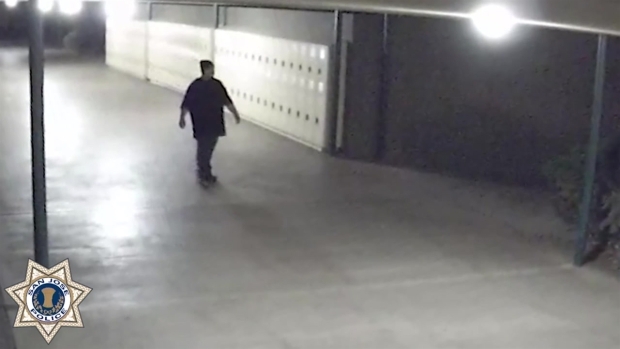 "We believe he was on campus for some time before the incident occurred, and we were able to gather some video surveillance, and that's what we are releasing to the public in hopes that someone will recognize him and contact us," police spokeswoman Officer Gina Tepoorten said. The man is described as a Hispanic male in his 20s, 5 feet, 9 inches tall, with a heavy build, wearing a black T-shirt, dark blue jeans and a black beanie. There was a noticeable police presence on campus Wednesday, and the school said it also also has beefed up security. And the investigation has become even more intense. "We have a lot of detectives specifically assigned to this investigation," police spokesman Sgt. Enrique Garcia said. "There’s s lot of behind the scenes follow up that’s occurring as we speak." Parents meanwhile are a bit relieved to see the extra police manpower. "Yeah it’s fine. I mean we feel reassured, and we feel they are doing everything they can," parent Sudesh Saoji said. Neighbors who live near the school were concerned the man is still on the loose. They are afraid he could attack someone else if he's not caught soon. "Yeah, please look out for this guy," said Madhabi Pidathala, who lives across the street from the campus. "We need to catch him." A couple out for a nighttime stroll Tuesday live just down the block. "Most of the time, I'm walking by myself," neighbor Radhika Thar said. "Sometimes in the mornings, and sometimes in the evenings." San Jose police are asking for the public's help in identifying and locating a suspect in a sexual assault early Tuesday at a middle school, the department said. Thom Jensen reports. SJPD on Tuesday and Wednesday bolstered its presence at the campus and increased patrols in the area, much to the relief of parents and residents. School officials said the incident occurred nearly an hour before students arrived on campus, so no students were present at the time of the assault. They said the teacher arrived early to prepare her classroom for the first day of school after the winter break. "We are saddened and upset by this incident and are leaning in to provide support and privacy to our employee and to each other. We are cooperating fully with the authorities and providing them any support needed to help in finding the perpetrator. The safety and security of our students, faculty and staff have always been paramount and we regularly review all protocols for any additional ways we can help keep our community safe. We are hopeful that the efforts of the police and the community will result in a swift arrest." San Jose police are asking for the public's help in identifying and locating a suspect in a sexual assault early Tuesday at a middle school, the department said. Pete Suratos reports. Anyone with information should contact Detective Sgt. Samantha Huynh or Detective Jennifer Majors of the San Jose Police Department's Sexual Assault Investigations Unit at (408) 277-4102 or call 911 with immediate suspect information. Persons wishing to remain anonymous should call the Crime Stoppers Tip Line, (408) 947-STOP (7867).